Provided with standard variable adjustment. 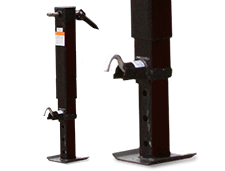 Welded jack stand supports the trailer chassis when not in use. 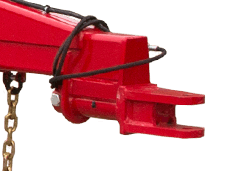 It features a quick release foot to partially raise it before cranking. 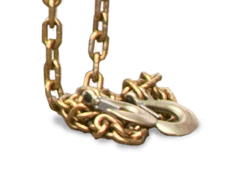 Safety chains to help provide safe towing. 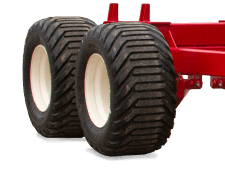 The pivoting clevis helps to reduce the operating tension at the hitch, allowing the towed unit and the tow vehicle to track independently over uneven ground.